I’m pretty sure nobody’s too worried about doing this, but….I’m so much in Christmas mode that I wanted to turn the summery boys and girls stamps into wintry ones, so they could play with the snowman! It’s slightly complex – try it with just one image before making a full scene….but it sure is fun to customize it like this! Watch the video below or click HERE to see it in HD on YouTube. 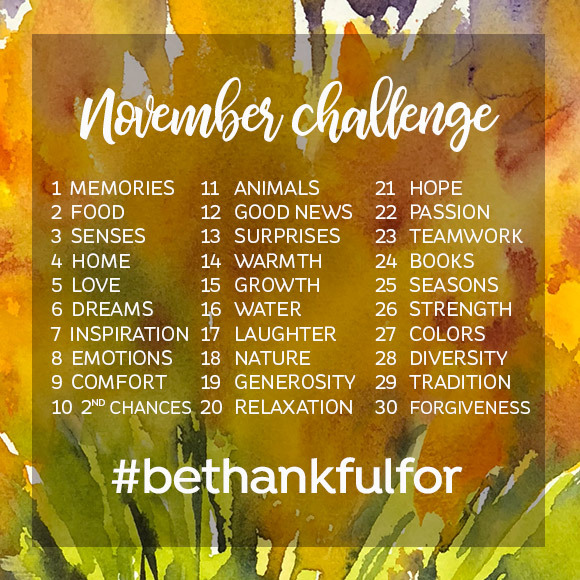 Today is the first day of my November challenge….I could use a more thankful attitude, so if you do too, please join me! 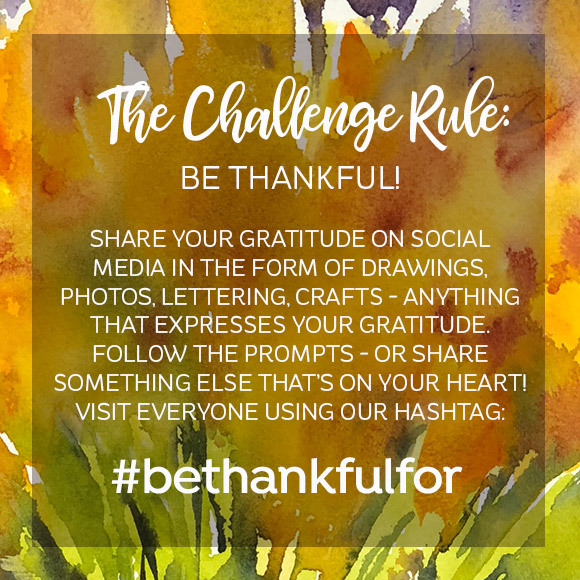 You can select something not on this list that you’re thankful for, too. 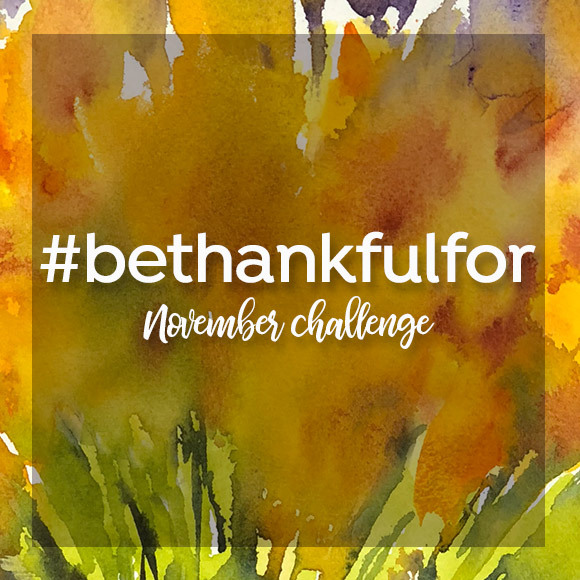 Only one rule: Be thankful! WOW ! See why it’s advanced, that’s stunning. Liking the swopping of stamp ideas to suit what you wish to do, I’m still very much beginner, like state at the colours stage hehe. Thank you for inspiring me as always. Your card is wonderful, and I loved watching your video. I do not number myself among the experienced users of Watercolor the Art Impressions Way, but I still learned a lot and picked up some great ideas. Thank you. Fabulous. Now I must practice practice practice. Great job. Great video. Thanks so much. Now if I could only transform my rounded figure into a slimmer one. Looks so easy on paper – LOL. I can’t do everything, so I will skip this challenge. 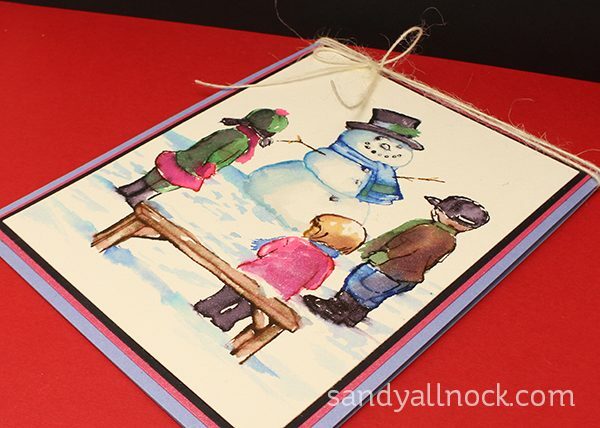 But I am so thankful for you Sandy, you are always making awesome things, explane it so well and show us great cards. Thank you for this summer in to winter stamp. Have a nice weekend. Adorable. 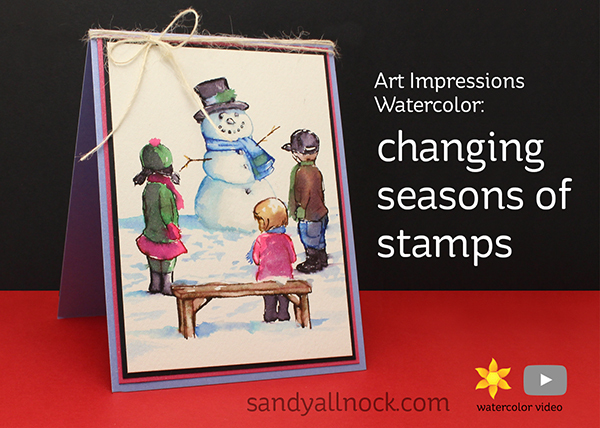 I love how you transformed the summer children into winter children, creating yet another beautiful scene! So so clever! Love the finished card! Thank you for the tips on how to get more out of my stamps. Wow. Definitely beyond my watercolor abilities – but I really enjoyed watching you do it! Thanks for showing what’s possible – as always!